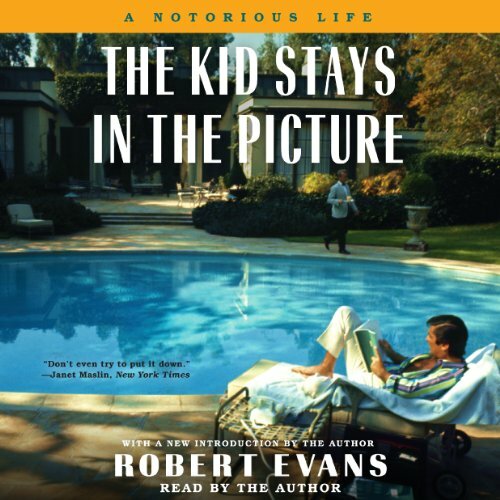 With a new introduction by the legendary actor, producer, and Hollywood studio chief Robert Evans, The Kid Stays in the Picture is driven by a voice as charming and irresistible as any great novel. An extraordinary raconteur, Evans spares no one, least of all himself. Filled with starring roles for everyone from Ava Gardner to Marlon Brando to Sharon Stone, The Kid Stays in the Picture is sharp, witty, self-aggrandizing, and self-lacerating in equal measure. 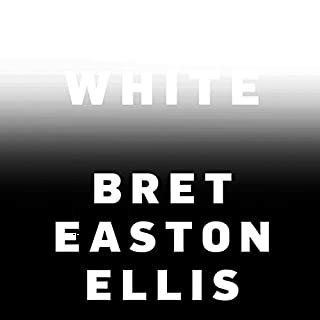 I enjoyed the book and the performance, but having read this twice prior, I'm extremely disappointed to find out that despite being advertised as unabridged, nothing could be further from the truth. There are large sections missing, and to the point where other parts make no sense. My advice is to read the book rather than listen to this. Then again, if you only want the basics of the story, then go ahead and download. Not only was the unabridged version abridged to the point of skipping multiple chapters, Robert Evans' retelling of his wild escapades was completely wooden. You're telling me that you had multiple woman, including Ava Gardner. fighting over you because your charm and personality in a monotone bored voice? Cool. Thank you, Patton Oswalt, for turning me on to this Titan! Robert Evans is a giant! I loved that it was narrated by the author. His tone made it all more real. The stories recounted were juicy and also useful lessons and background/history. Overall, a great listen. This audio book was a gift to me from a friend of mine. We both heard of this work from listening to Oswalt's stand up. 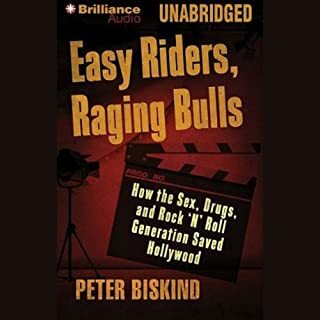 I find this book fascinating and insightful of the behind the scenes happenings in Hollywood's past. I can't help but get the vibe of a time when men were men and dames were dames in Evan's telling. There are so many great quotes too. I just finished my first listen and am already listening again. The audiobook disappoints me. Robert Evans' reading adds authenticity, but at the cost of too much mumbling. Too many of the recollections seem tainted by the evident narcissism of the author. Evans seems to present superficially the highs and lows of his life, but the point of each episode is whether it was a triumph or a failure for him. 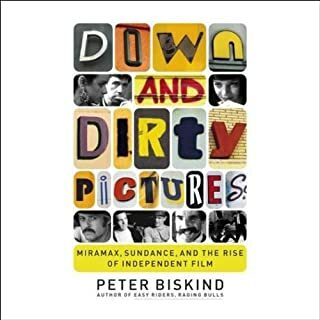 I would have been much more interested in an analysis of the movie business during the three decades he was active in it. There is also way too much gratuitous Jewish self-loathing. After reading this book, I learned nothing about what--other than luck--might have led to Evans success or his eventual fall from grace. Also, I learned very little of substance about some of his big hits: Love Story, The Godfather, and Chinatown. 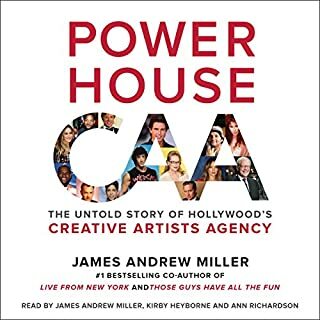 This is a good audiobook to avoid, There are just too many other good memoirs, and other compelling story about Hollywood. Hollywood in the 60s & 70s was Silicon Valley. Taste, talent, hustle and balls won the day every time. This guy was also amazing and refreshing to watch and listen to in narration. Robert Evans's autobiographical account had me not wanting to pause or stop it. Lots of life lessons, but not in a forceful way. He knows how to tell a story! As an independent filmmaker in this dog-eat-dog industry, gave me some ideas on how to deal with the pit bulls. I now know who Robert Evans's is. Thank you. 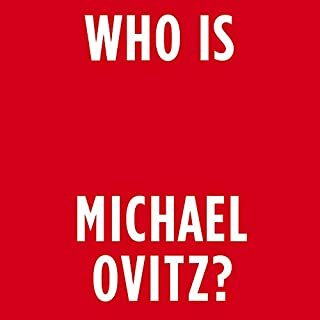 This book is about one of Hollywood’s legends, actor/producer Robert Evans. What makes it unique is that Evans himself narrates it. His delivery, full of color, intimacy and drama makes listening to it the equal of one of his movies (Godfather, Chinatown, Love Story, etc.). Is this book entertaining? An understatement. 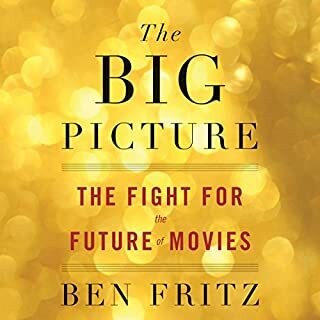 It is also essential reading for anyone interested in the history of Hollywood movie making. This story sizzles with the real life, gripping, roller coaster twists and turns of the movie industry and all that it meant to one of the greatest movie geniuses the world has ever known, Robert Evans. Truly, a worthwhile read.